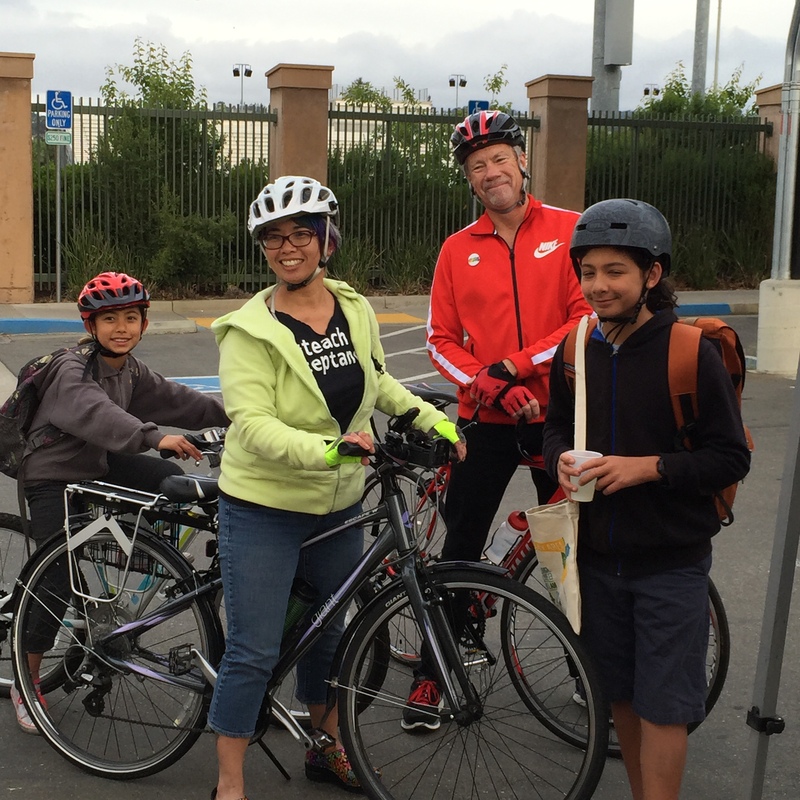 Bike to Work/School Day a Big Success! 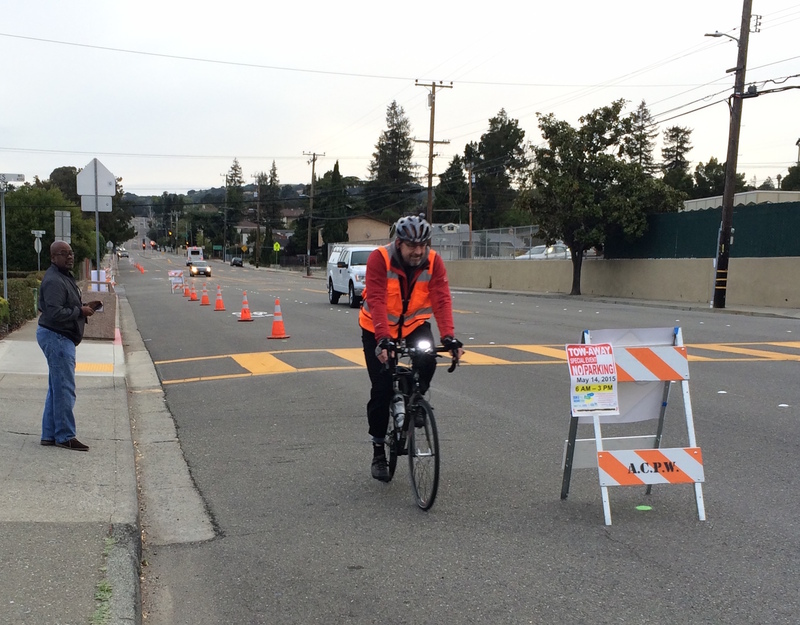 Today was Bike to Work/School Day all over America, and BikeWalkCV celebrated in style with Energizer Stations at Castro Valley High School as well as the first ever “pop-up bike lane” along Redwood Road in the southbound direction from Seven Hills to Jamison. The idea of the bike lane demonstration is to show that protected bike lanes are safer and that, if we provide them, more kids will feel safer riding their bikes to school instead of parents driving them, and more commuters can feel safer riding to work or to BART. Over 80 cyclists, both students and commuters, stopped at our CVHS Energizer Stations, with many also trying the pop-up bike lane. 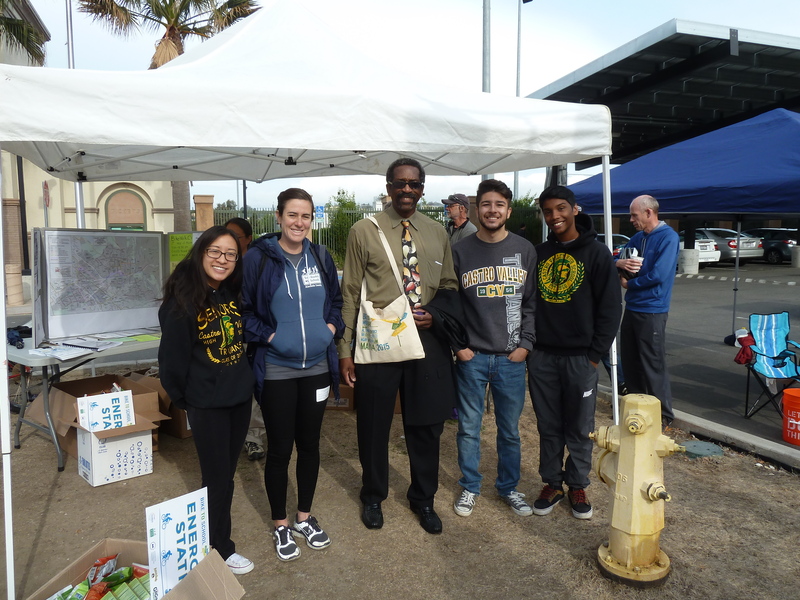 Alameda County Supervisor, Nate Miley, stopped by to join the fun. Other local heroes, Dot Theodore, CVUSD Board Director, and Billy Bradford, also stopped by. Visitors were treated to lots of free goodies, including an official Bike to Work Day commuter bag with a bike accessories and treats, as well as freshly baked breads, lemonade, chips and coffee. 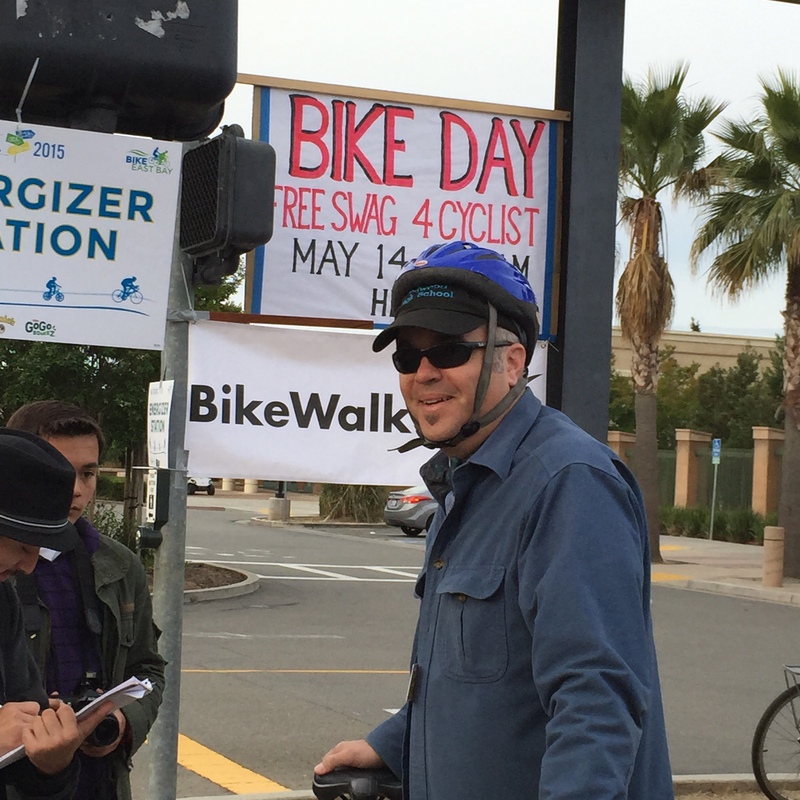 Big thanks to Bike East Bay, Eden Bicycles, TransForm, CVHS, and Paul Keener and the Alameda County Public Works Agency, and special thanks to Bruce Dughi and his BikeWalkCV crew for their hard work in helping us make Bike to Work/School Day happen in Castro Valley!